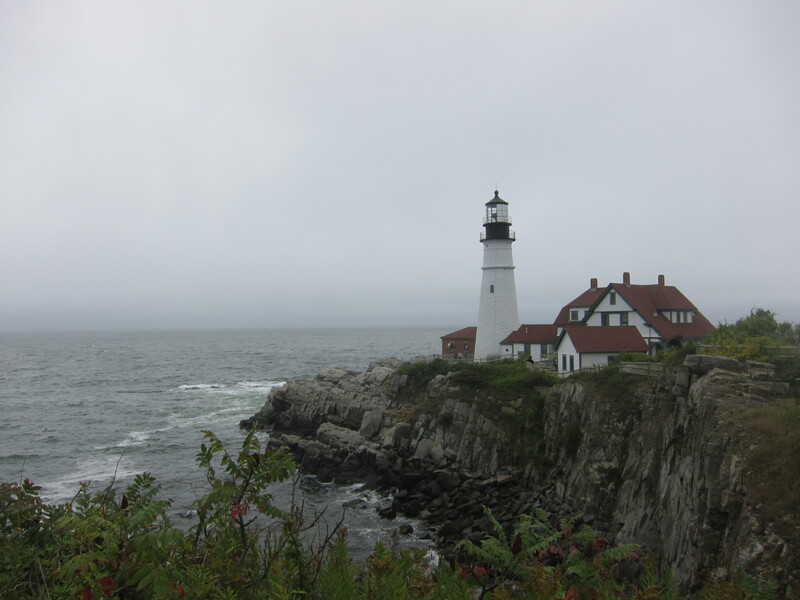 I’ve discussed kid friendly activities/eating in Portland, ME, before, so instead of rehashing I’ll just give a quick update on our experience this time. 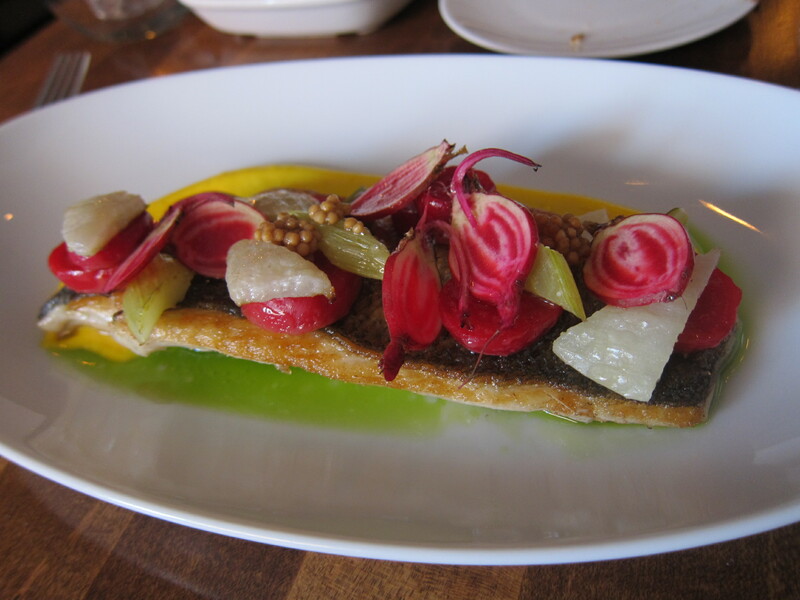 We also tried two new eating establishments, so I’ll talk a little more about those places. Bottom line – Portland still rules. Portland Children’s Museum and Theatre – Proof that “rope dropping” works everywhere. We got there right when the museum opened at 10 AM and pretty much had the place to ourselves for a good hour and a half. Still a lot of fun things to do, but I think this is the kind of place you want to go to with other families – lots of parallel/joint play opportunities! Maine Narrow Gauge – It’s still fun to ride trains, still fun to ring the bell on the engine, and still fun playing with model trains/run around old train cars in the museum itself. Think this will remain a hit until the kids hit double digits in years. Great for adults too due to the pleasant scenery. 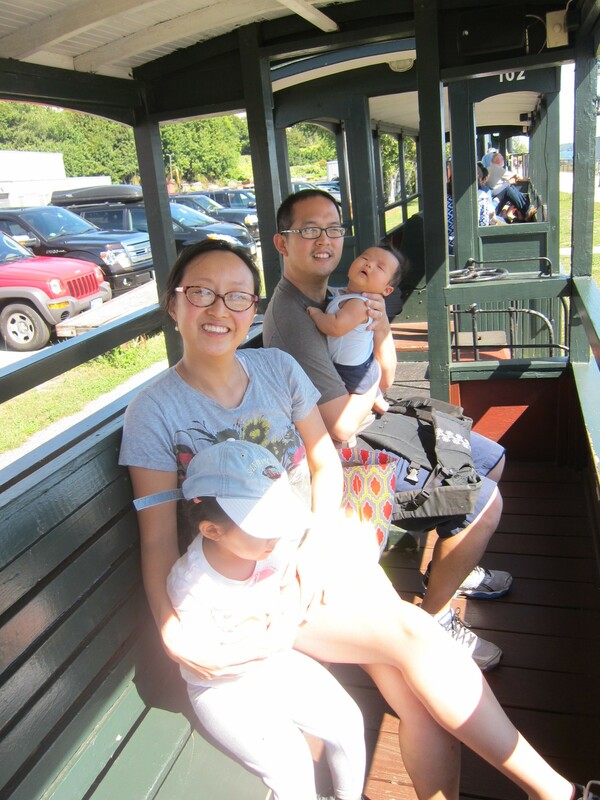 Fort Williams Park – It was freezing and the wind was blowing like crazy so we kept H in the car. M still loved it, running around the trails, looking at the beautiful lighthouse, and…more running. 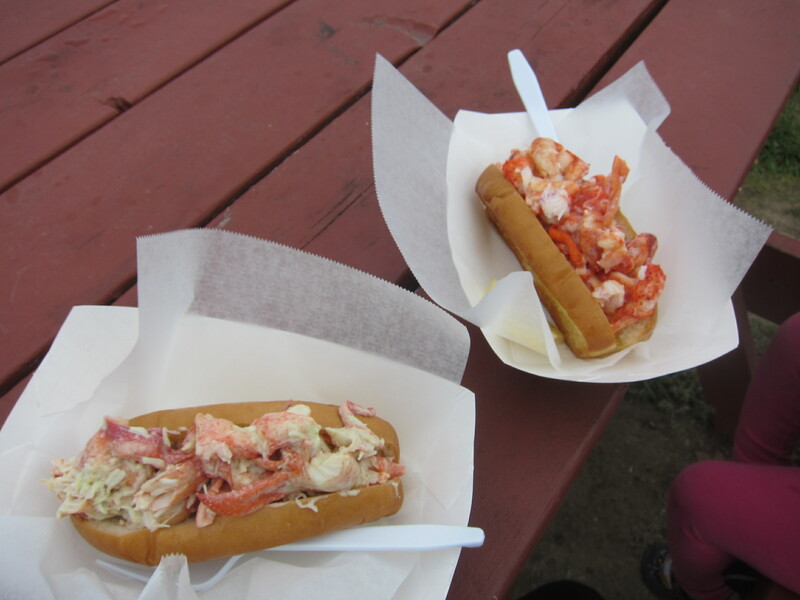 The lobster roll truck didn’t hurt either (more below). I’ve written about all these places elsewhere. Standard Baking Company – Still some of the best bread/baked goods I’ve had this side of the Atlantic. Must try. Holy Donut – Potato donuts have a different consistency, but are still incredibly tasty. They open until they sell out. 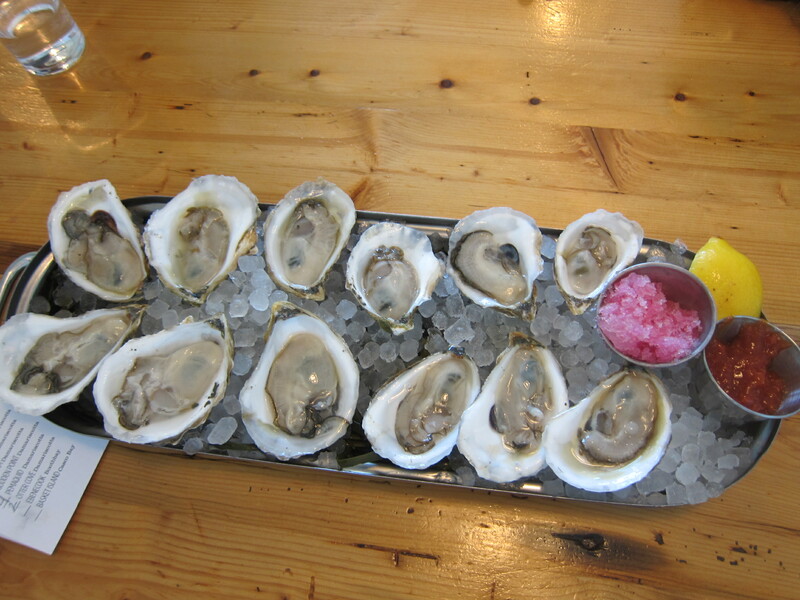 Eventide Oyster Co. – Local Maine oysters simply taste better than what we can get in Boston, Island Creek excepted possibly but I’m not even sure about that. Maybe it’s just because they are tougher to get, who knows. Mt. Desert Island – We had ice cream there twice in two nights. Think this place has surpassed Gelato Fiasco at this point. We were looking for a family friendly meal on our first night in town, so we settled on Slab, an establishment that advertises itself as Sicilian street food. The menu is pretty straight forward, 1 lb “slabs” of sicilian pies (just cheese and tomato sauce), or 1/2 lb slabs with toppings on them. Plus some salad-y stuff. This place was great. 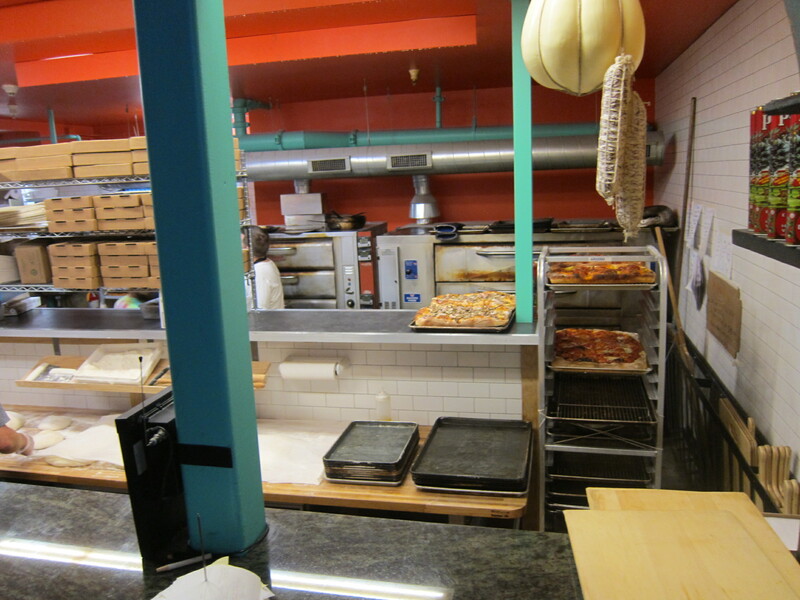 The food was great, it was a nice open space so it’s good for kids (though a bit tough to maneuver a stroller), and there was a giant pizza oven for M to gawk at when she got bored. I seriously considered going back for another mega-slab. I generally don’t like Sicilian pizza but I enjoyed this one. 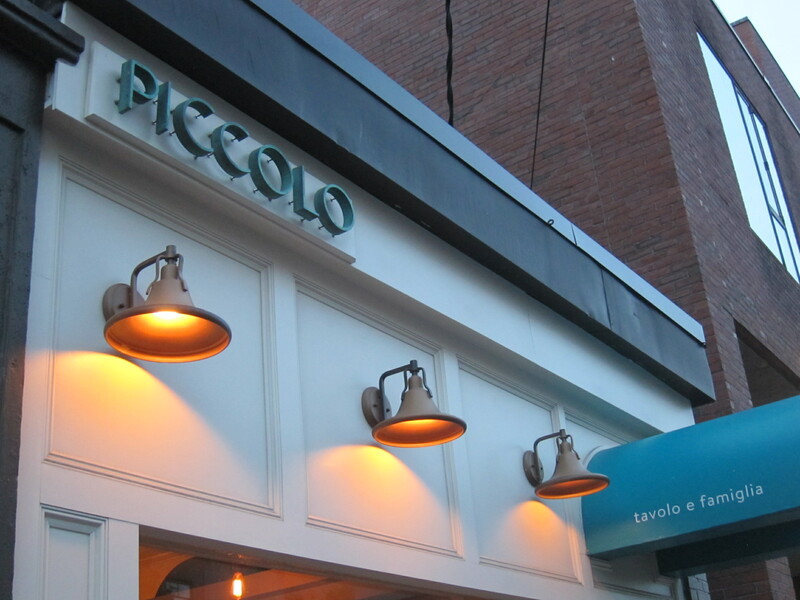 Jess and I got a night to ourselves so we decided to try out Piccolo. I really love this restaurant’s story – two Boulud disciples who had pretty successful careers in NYC moved up to Portland to start their own restaurant together because they fell in love with the town. We didn’t even realize it at the time, but the nice woman waiting on us and chatting with us about having kids and our families turned out to be Ilma Lopez the co-owner (what tipped us off was she prepared our dessert herself). The restaurant is small and cozy, the service is great, and it’s just casual enough not to feel too stuffy. I had a cavatelli pasta with a lamb neck ragu while Jess had a beautifully plated sea bass. Combined with a cheese plate, some wine, and dessert – it was just a delightful meal. It reminded me of Trattoria Toscana here in Boston – an authentic feeling Italian meal served at an Italian pace. Definitely worth a try. There’s always something new and fun to discover in Portland. But there are a lot of oldies but goodies as well. If you live in New England and haven’t been to Portland yet, why not? And if you don’t…it might be worth putting on your list!